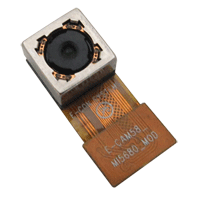 The e-CAM58_MI5680_MOD is a 1/3.2" optical format, 5MP RAW MIPI Camera Module based on OmniVision's OV5680 CMOS image sensor and it provides RAW Bayer format image output through its 2-lane MIPI CSI-2 interface. Combined with the 1.75 micron pixel size and the OmniVision's OmniBSI-2 pixel technology, this autofocus camera module provides best-in-class sensitivity and excellent noise performance. 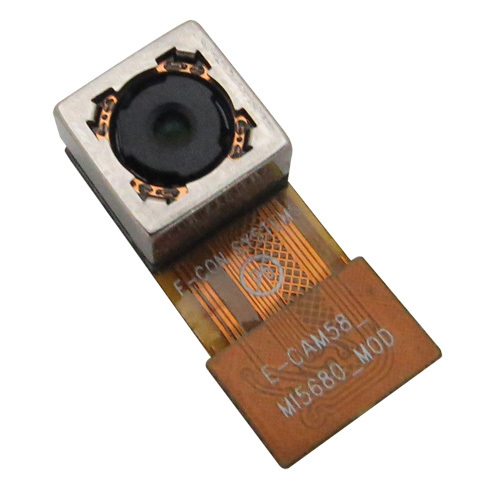 The small form-factor camera module also contains the voice coil motor (VCM) based lens mechanism for adjusting the focus position of the built-in lens and the same can be used with an external back-end ISP to implement the autofocus capability. Customer choosing to evaluate the e-CAM58_MI5680_MOD can purchase ACC-CX3RDK-5680, a 5MP MIPI camera add on board for e-con’s Denebola – UVC USB 3.0 Reference Design Kit developed using EZ-USB® CX3 USB 3.0 Peripheral controller from Cypress Semiconductors. In addition to ACC-CX3RDK-5680, the evaluation kit comes with e-CAMView (Windows) - Sample application for Video Preview and Still Capture along with the UVC Extension features (for Windows XP with Service Pack 2, Windows 7).